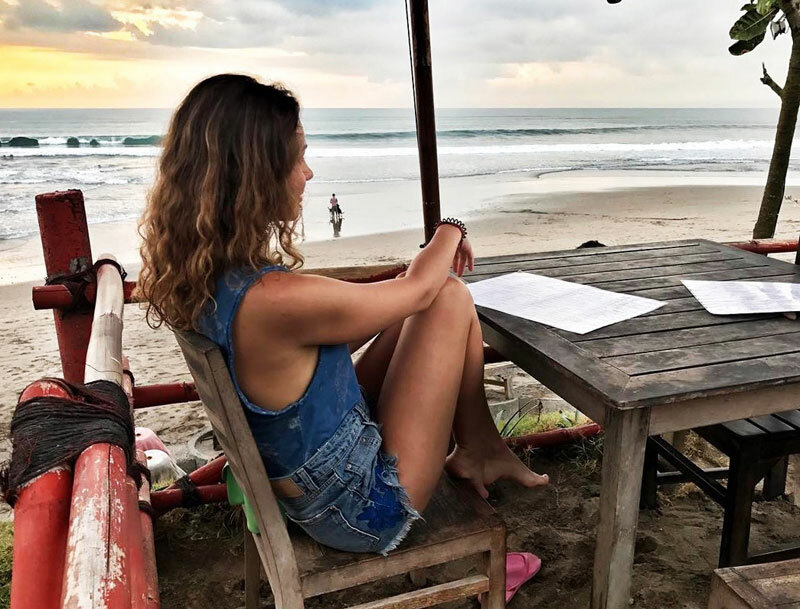 Indonesia > Bali > 7 Affordable seafood restaurants with spectacular views in Bali (not in Jimbaran)! 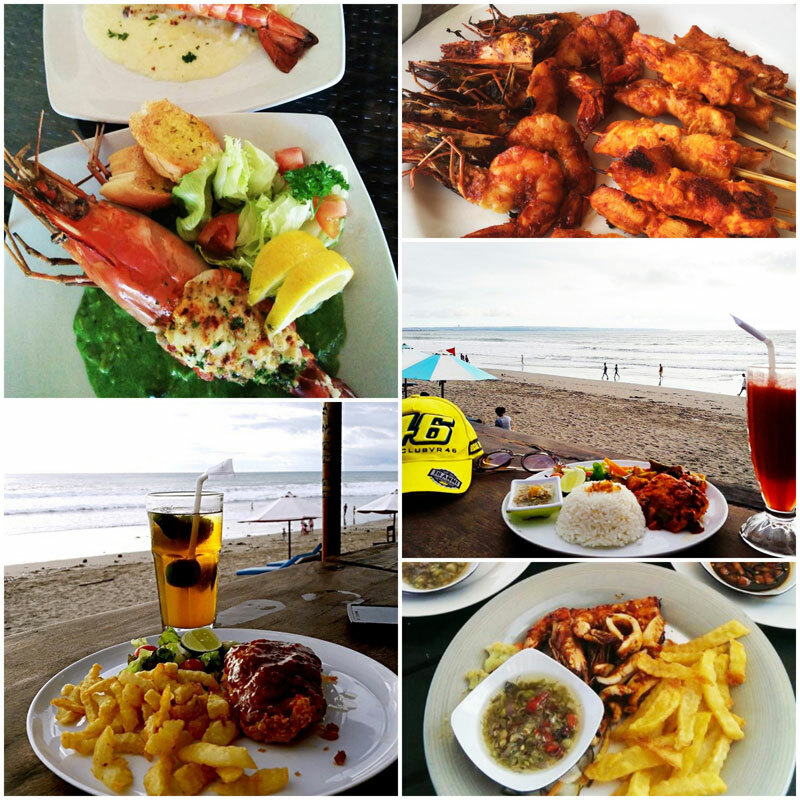 Looking for good seafood in Bali? 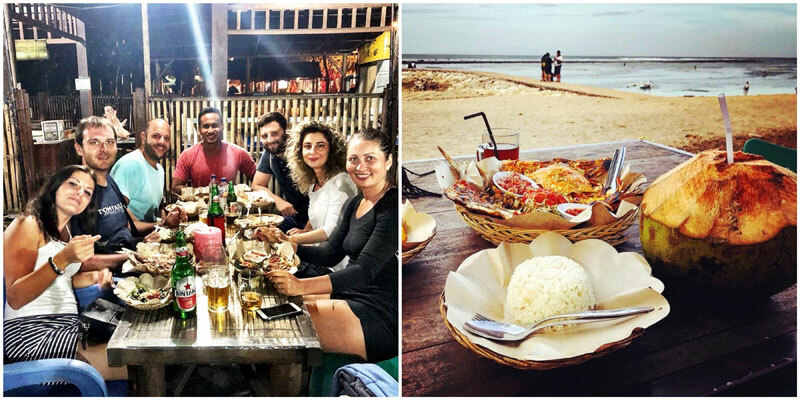 Ask anyone and they will all direct you to the famous and overrated Jimbaran Beach with its multiple seafood BBQ stalls, where you can dine on the beach at sunset with the crowd, and you realise that your prawns, lobsters, mussels and all aren’t very value-for-money. 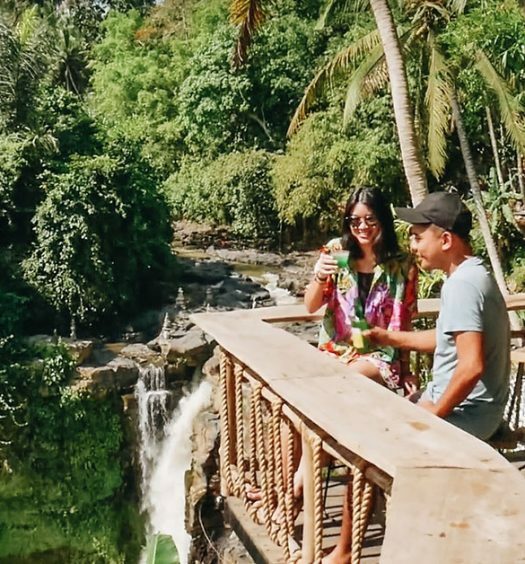 What if we told you, you can escape Jimbaran Beach and still enjoy fresh and affordable seafood in lesser-known spots, that also happen to feature spectacular views of Bali’s ocean and landscape? 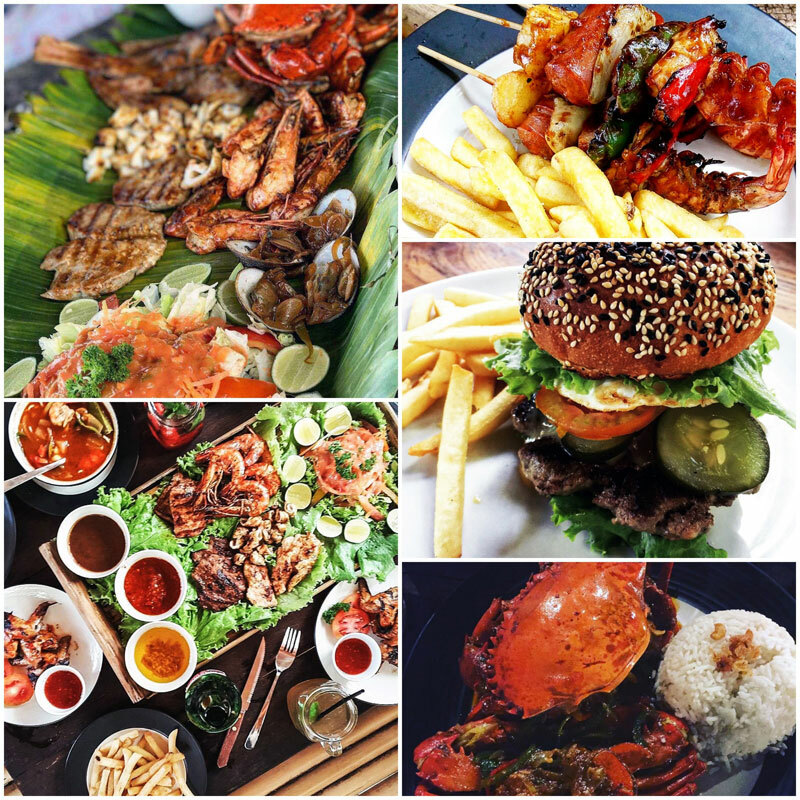 In this ocean of restaurants, we took a dip to get you the big fish out there; look beyond just Jimbaran and stop at one of these establishments for a real seafood feast! Seafood is best enjoyed when you get the whole shebang rolled in one – experience it like a little scalawag, aboard a pirate ship overlooking the spectacular ocean! Drown yourself in their glorious “Pirates Basket”, ideal for sharing – or guzzling alone. The restaurant has perfected the delicate balance of crispy seafood exteriors with interiors so tender and juicy, they almost melt in your mouth! Served on a banana leaf, the seafood feast at The Pirates Bay features large portions of shrimps, fish, squid and crabs – our favorite crustacean that are prized by every guests for their gooey, bright-orange roe and tickling Balinese flavors! 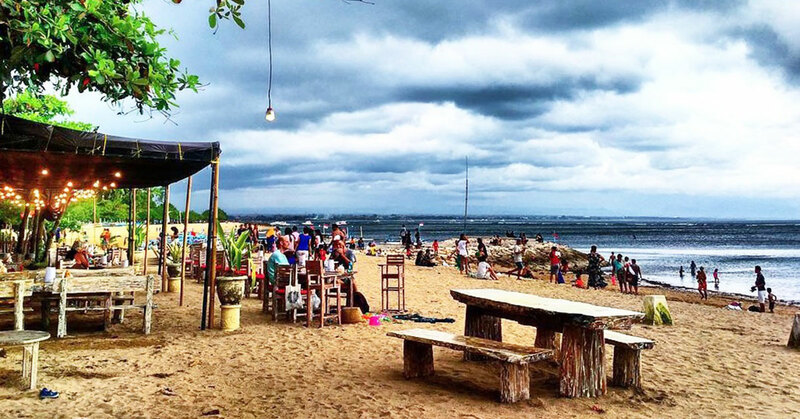 The beach is practically the national religion of Indonesia, a country where 99 percent of visitors logs at least one cooling session a week. And what better way to replenish yourself afterwards than with another Balinese tradition – a platter of perfectly marinated seafood? 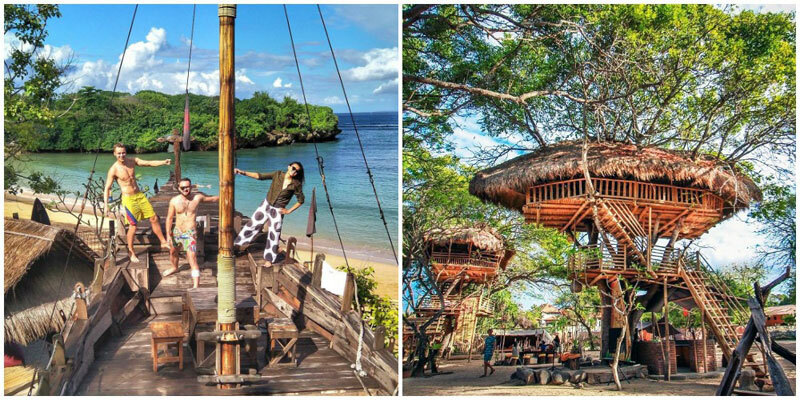 The Pirates Bay offers seafood with a side of french fries but also spectacular ocean views to relish on! 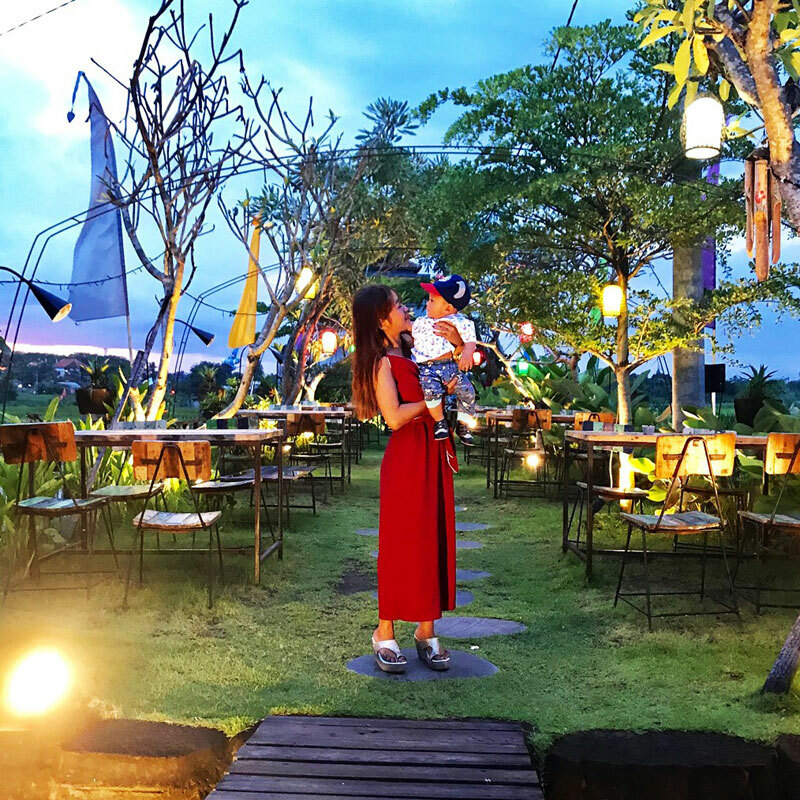 With a scene straight out of the Pirates of the Caribbean and a kids-friendly menu, you can be sure that your little ones will be the happiest of them all while your hands get dirty with chunks of the freshest seafood! Takabashi is the temple of seafood if you want a new twist to your old classics; don’t expect the usual seafood skewers delicately placed on a porcelain plate! 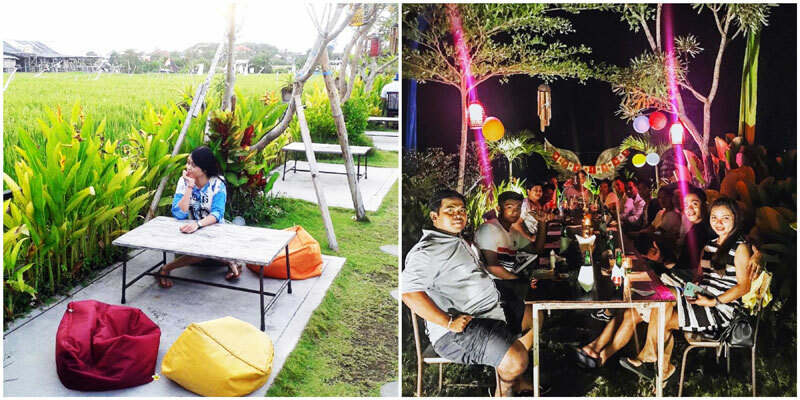 This is where things will get dirty, and that is why your seafood feast is not served on a plate but on a table-size sheet, and you can choose to eat by the pool on the charming semi-outdoor setting. If you’re tired of seeing fish faces pouting on your Instagram, we think you’ll find the seafood combo at Takabashi infinitely more Instagrammable. Can’t decide between crabs, prawns, clams and squid? Who said you have to? Order the Crab Seafood Combo and you’ll get all four as well as mixed salad, onion rings, chicken wing, fries (or rice or sweet corn). These are theoretically made for more than one mouth but we wouldn’t judge you one bit if you decide to keep it all to yourself! P.S. It is a pleasurable feeling to see the mess you made out of it all after your feasting! Note: Choice of sauce includes: Singapore Sauce, Spicy Sauce, Spicy Tomato Sauce, Black Pepper Sauce. 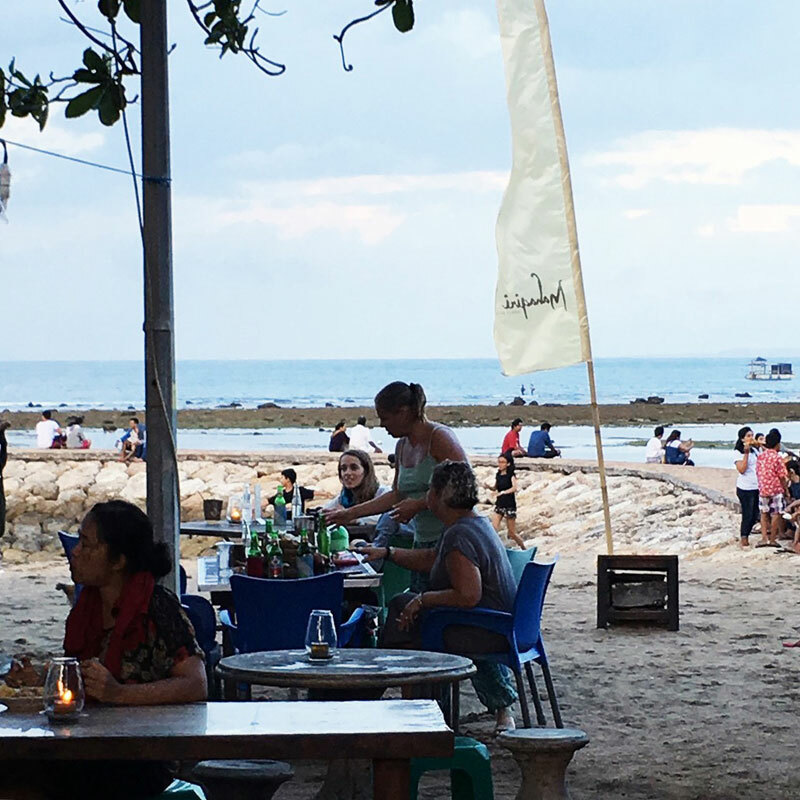 A taste of Jimbaran but without its crowd also means much less chaotic! 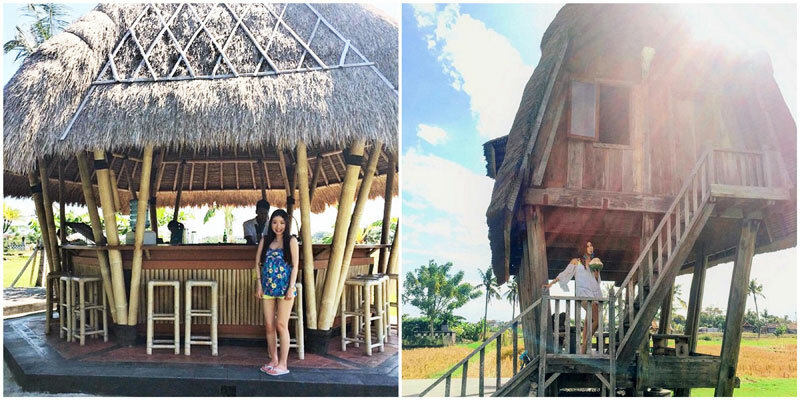 At this shack, your table-in-the-sand will be piled up with platters of seafood in a rustic beachside setting with views of the sea! 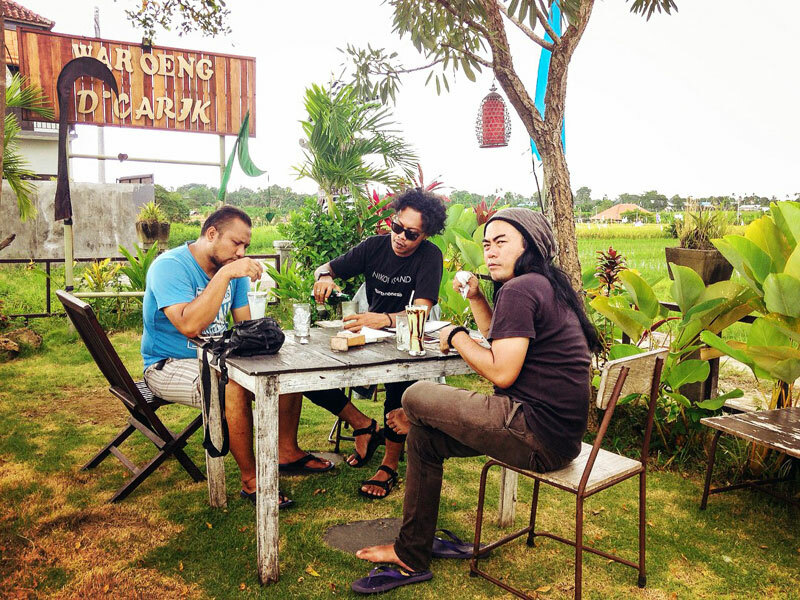 This warung (casual eatery) will become your weekly stop while on vacation! Pick your favorite items and Chef Michael will cook it up for you and deliver it to your picnic table. Tear into glazed lobster with generous squeezes of lemon, topped with some Balinese sambal. With dedication to the best local ingredients, you will surely find yourself upgrading your platter items and try more of what’s on offer today (only freshly caught items are served so you might not find the same the next day)! 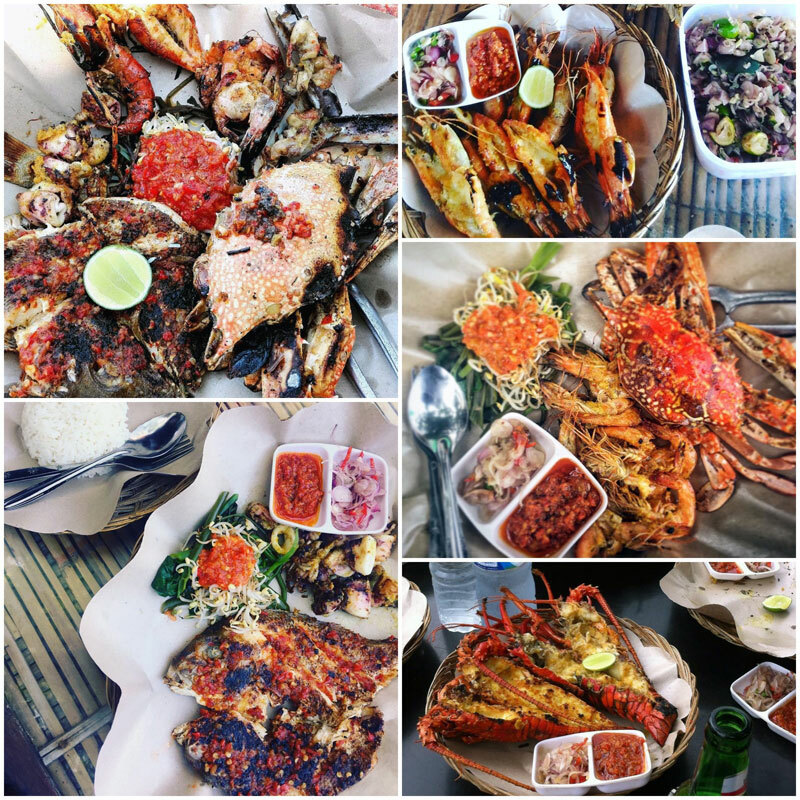 A not-to-miss item is their crab – though finding good crab in Bali is kind of like sourcing for a decent taco in Texas: You know you can throw a stone and find a spot, but there are just so many options that it can be tough to weed out the very best of the bunch, but Warung Amphibia is known to master crab feasts! Seafood feast, salty ocean breeze, toes-in-the-sand and scenic ocean views – this itself is grandiose enough to be called a luxury! 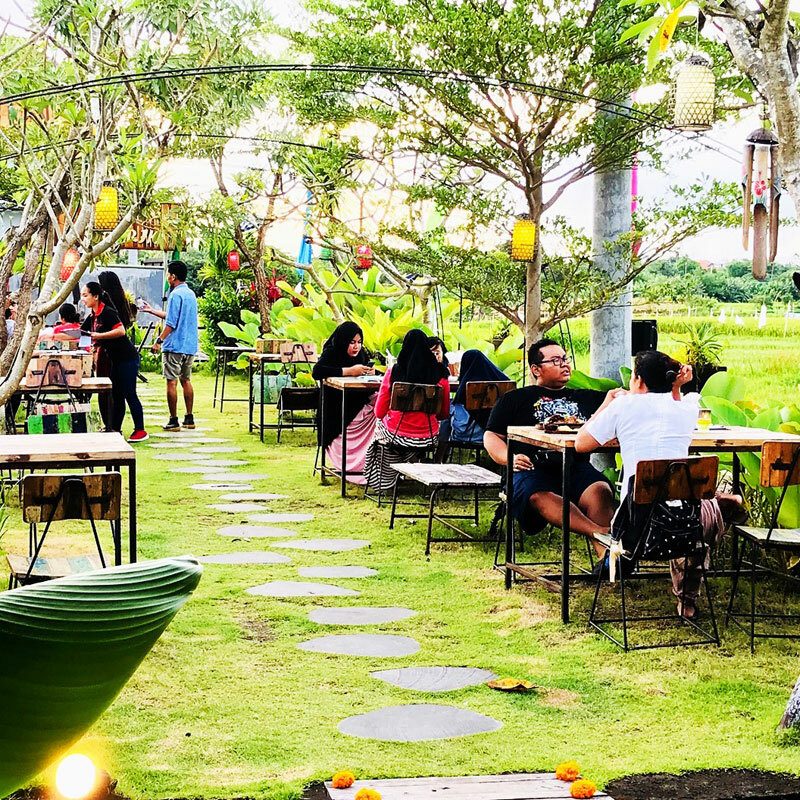 This not-so-little warung in Bali is sufficiently removed from the hustle and bustle of the city to provide a relaxing and intimate ambience overlooking rice paddy fields, while dim lanterns lead you to your dining table! 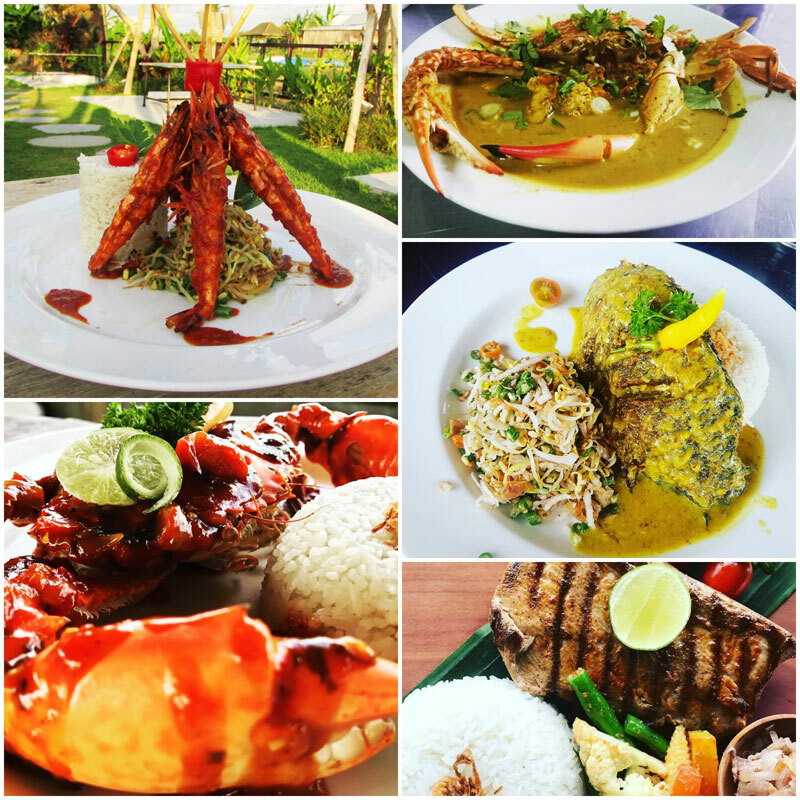 Between 6pm to 9pm on Friday nights, seafood lovers drop anchor at the warung for an ultimate “All you can eat seafood dinner”! 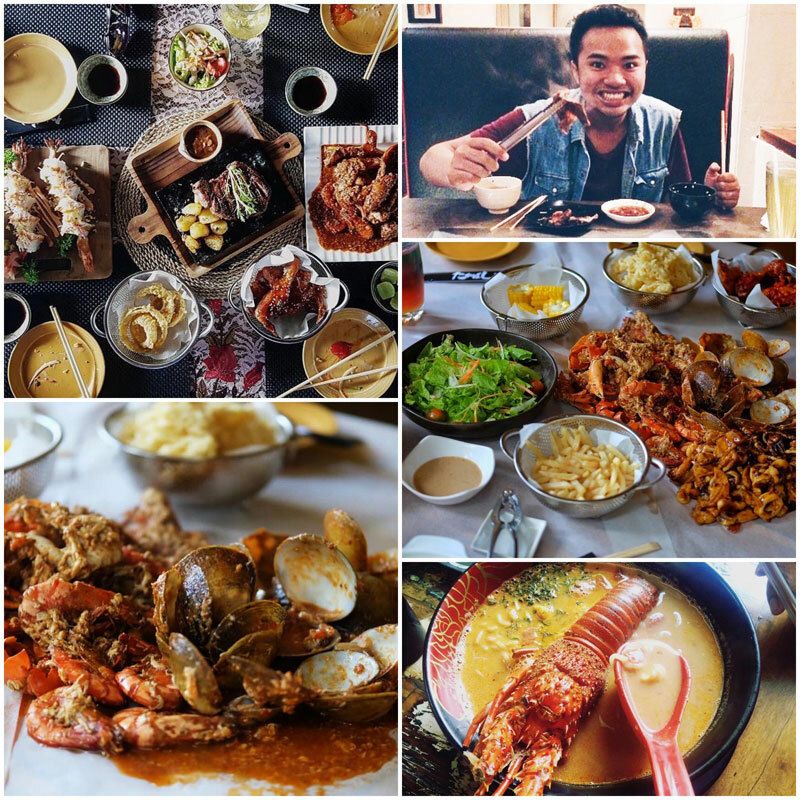 The hype is real; you should definitely think of gathering your friends to enjoy this seafood feast! Harvested from the ocean moments before it’s on your plate, favourites include shrimps and clams but most also rave about their tastiest catch – squids! 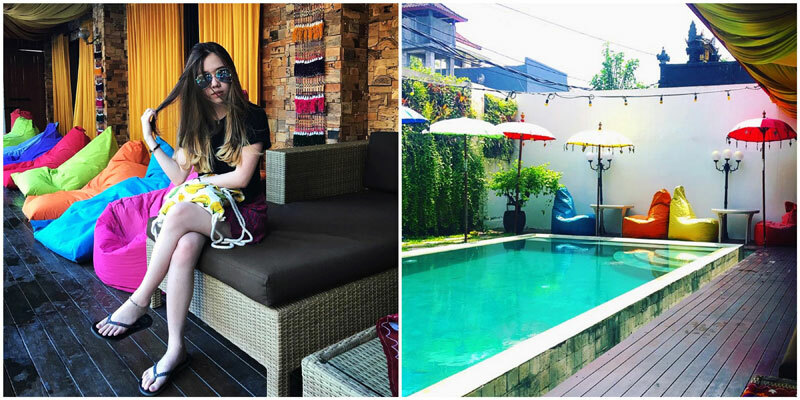 Waroeng D’Carik exudes Balinese comfort influenced by personal, traditional, and new ongoing recipes. 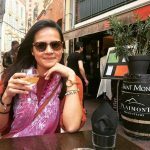 Flavors are heavily influenced to match Asians’ palates but a hint of Mediterranean can be tasted. Best part of the experience? No matter how many turns you take, you will still pay the same affordable price of Rp. 95,000 for everything a seafood lover would love to have! 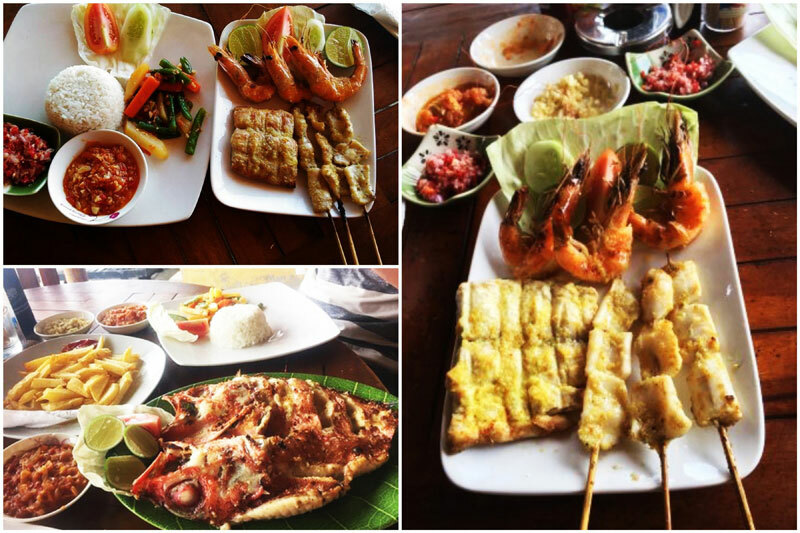 No list of seafood experiences on this island is complete without mentioning Segara! If you are not coming from the beach entrance, you will be welcomed by a giant lobster at this restaurant and that pretty much says it all about its seafood fame! 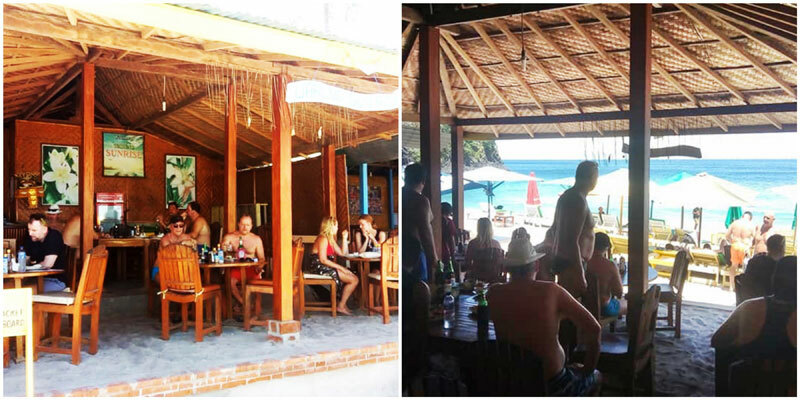 This old beach shack has recently been revamped into a stylish hangout spot for fresh seafood platters and ice-cold beers! It is now also featuring a tapas bar. 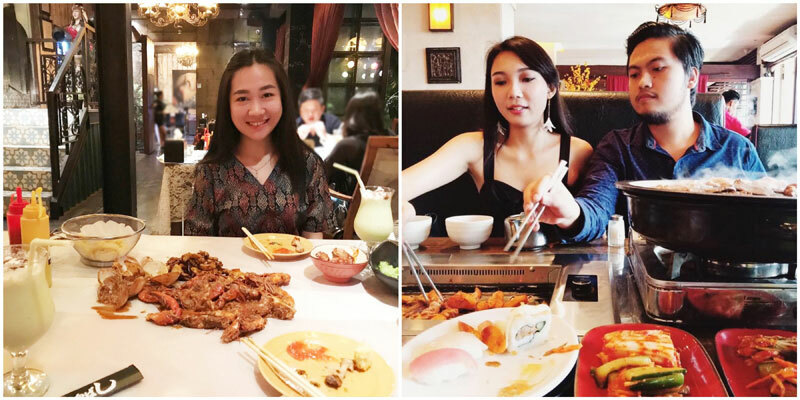 The seafood feast at the restaurant is a little extra; it goes a notch higher than the rest as it even includes lobster (besides the many fish, squid, prawn, mussel and crab). What is certain is that it’s delicious: soft, tangy and chilli-spiked (to match any of your requests)! 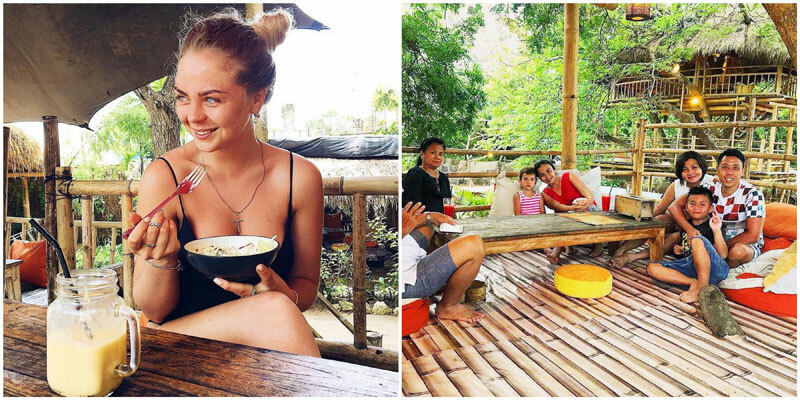 Served with accompaniments like french fries (our favourite) or even boiled corn, this is brought to your table in a natural banana leaf so you can get messy with it. 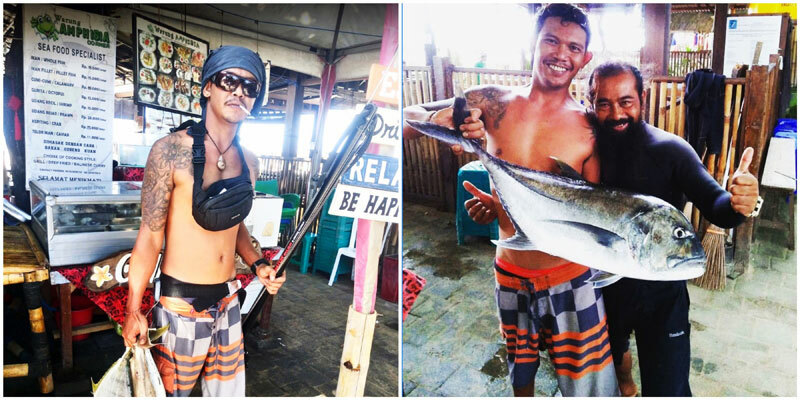 Besides being known for its perfect views over the azure ocean, we believe everyone should know that this restaurant works with local fishermen to bring in the freshest catch, but that’s not the only good cause it supports. 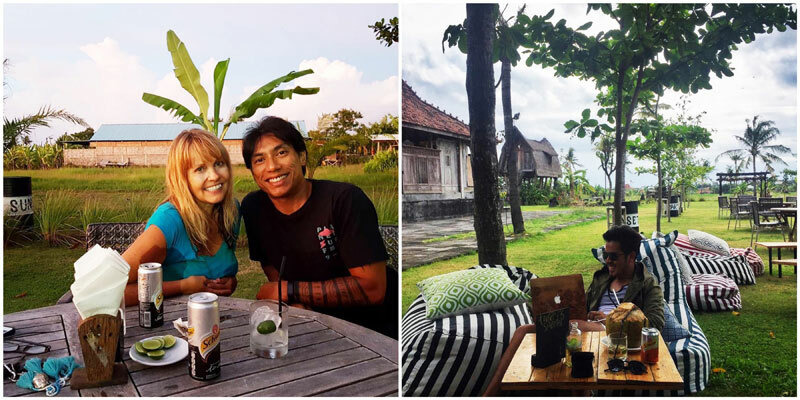 The eatery also contributes to locals in need by donating some of their profits – their latest project was to support locals that were affected by the Mount Agung volcanic eruption and guests are welcomed to make any sort of donation! P.S. Stay over for tea time too! 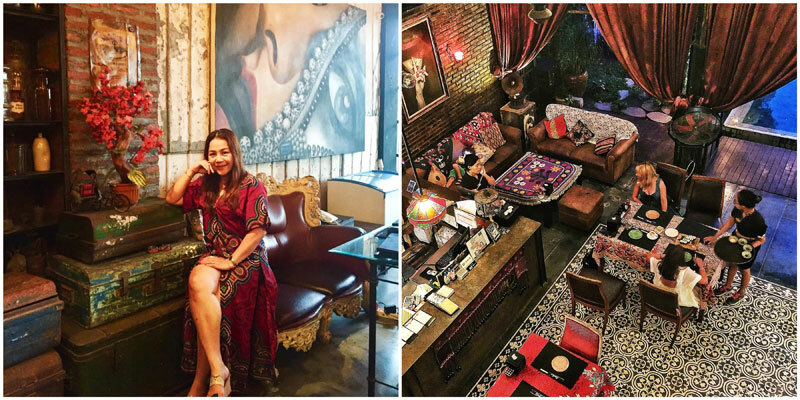 Warung D’Sawah is not your typical warung. 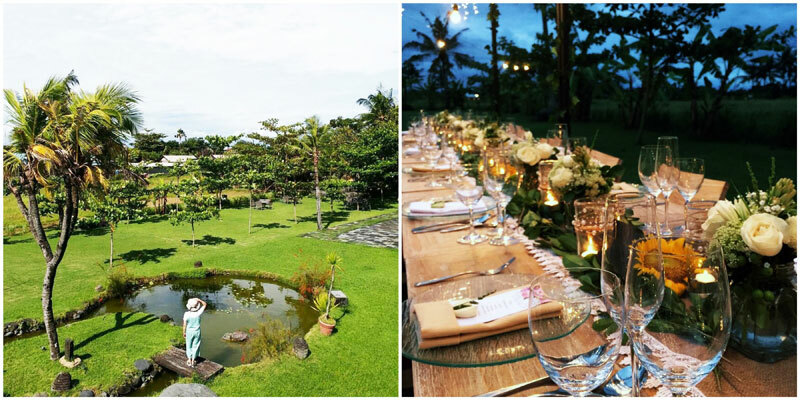 Located on a well-manicured vibrant lawn overlooking rice paddy fields, this place is suitable for weddings and parties. 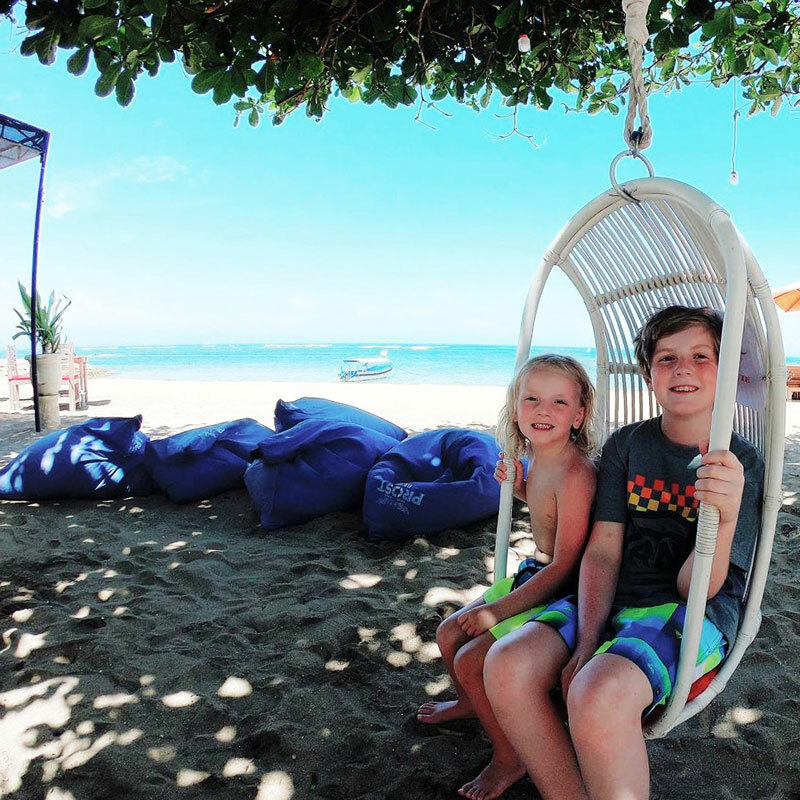 In fact, there’s so much space, it’s also perfect to let the kids roam free! But Warung D’Sawah is not about good settings and good views only; their individual Seafood Package (fish, prawns, squids, vegetables and rice) is known to have successfully made quite a few elated tummies from all around the world – putting to shame fine-dining restaurants on the Mediterranean coast! 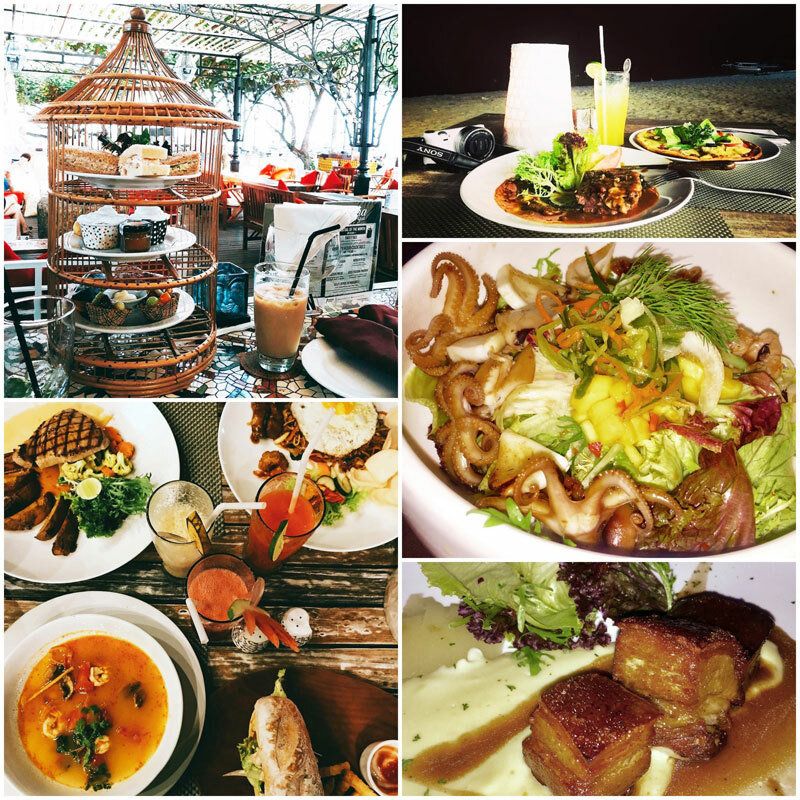 They are known to be working exclusively with the freshest of seafood, so once you’re there, expect splurge-worthy dishes on your table. The array of colours on your plate hints of the successful fusion of ingredients with all of the local Balinese culinary know-how. The marinated shrimps are to die for and they are big on the fried “catch-of-the-day”. 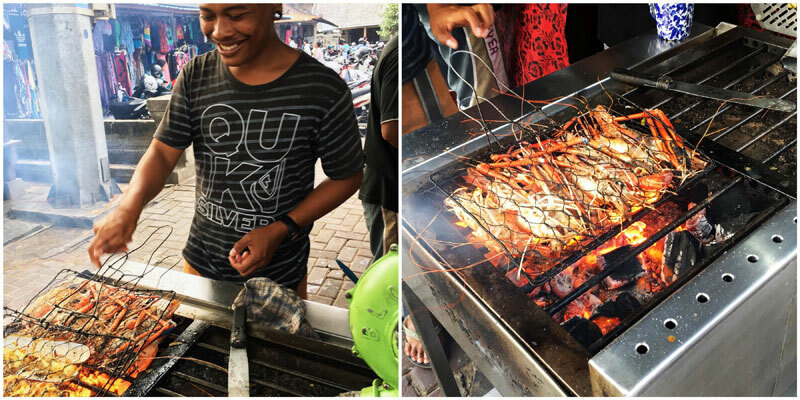 Definitely a must-go warung when you’re craving for good and affordable seafood! 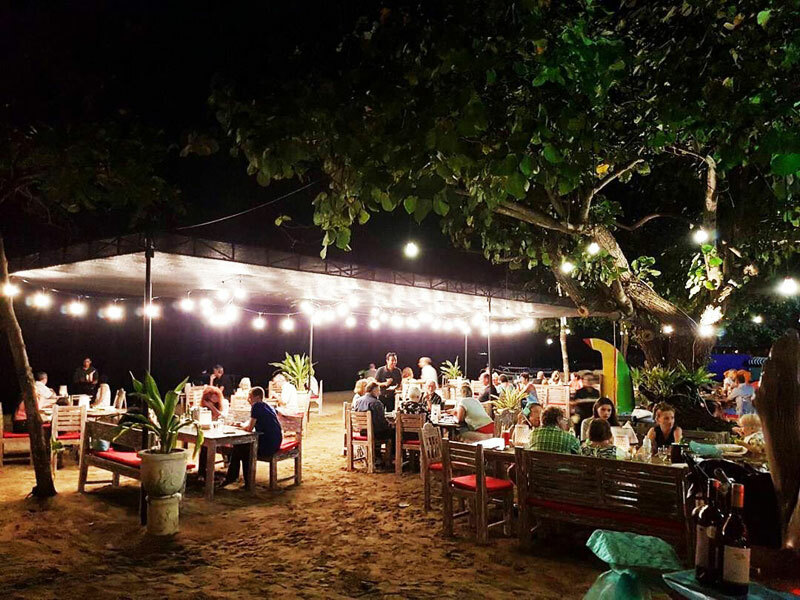 Scoring high on its location and nestled right on the beach, Warung Sunrise also excels at transforming crustaceans into real feasts for any seafood lover out there. 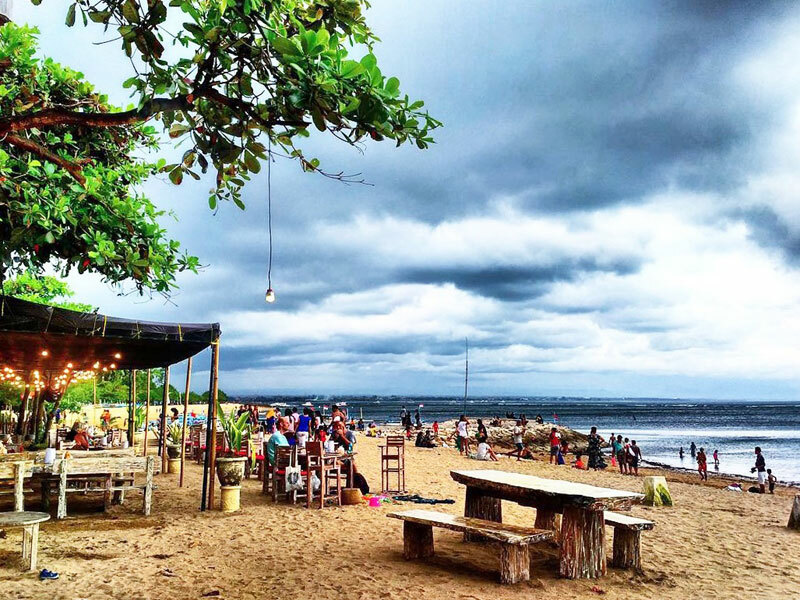 With platters fit for one or more, this warung is considered as the best shack on the coast by many locals and visitors! 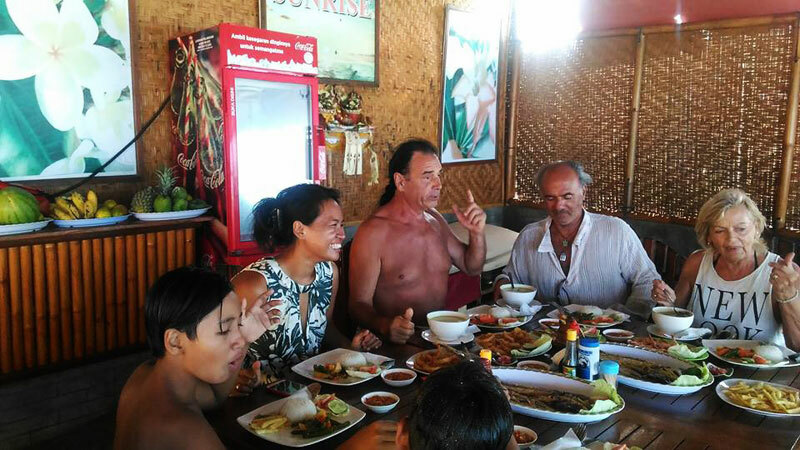 Wayan, the owner and fisherman, will be more than happy to show you all of his fresh catches, so get ready for an eclectic array of choices! He also grants you the honour of picking your own fish but you will surely prefer to dig into a platter for a real feast rather than sticking to only fish! The seafood platter includes a selection of local fish, juicy prawns and calamari, served with rice and vegetables; you may choose to go for an individual platter or one to share with your companion! 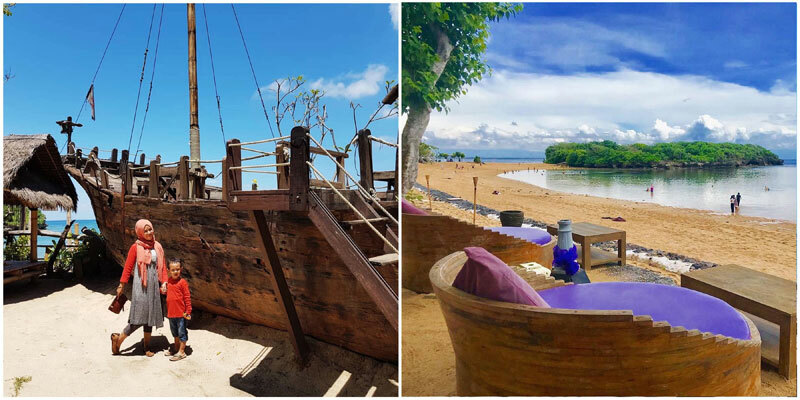 Just like your meal, your post-seafood feast snooze is also taken care by Wayan who offers free use of sun loungers and snorkeling equipments for dine-in guests. 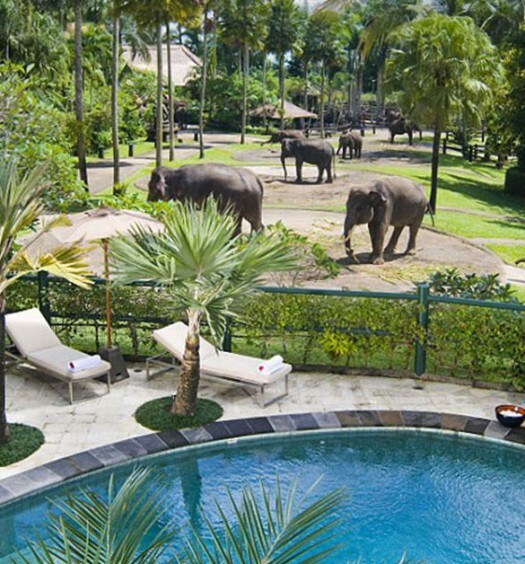 He can even arrange for you to get your hair braided or – best of all – to enjoy a massage on the beach! 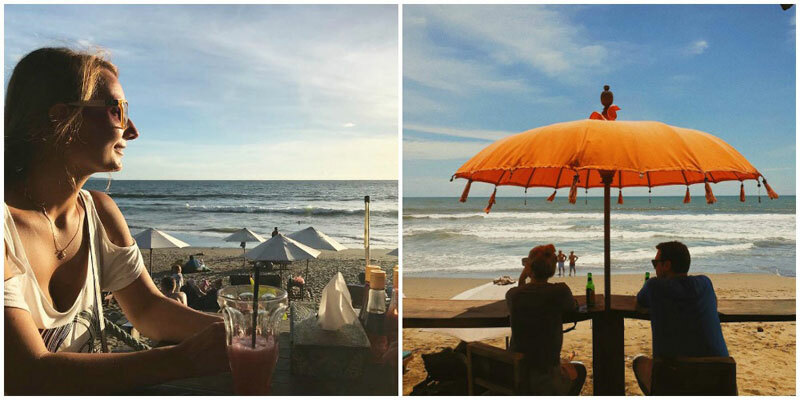 If you’re looking for that perfect match of seafood and beach views, look no further than Warung Pantai – with a name that speaks for itself (“pantai” means beach)! 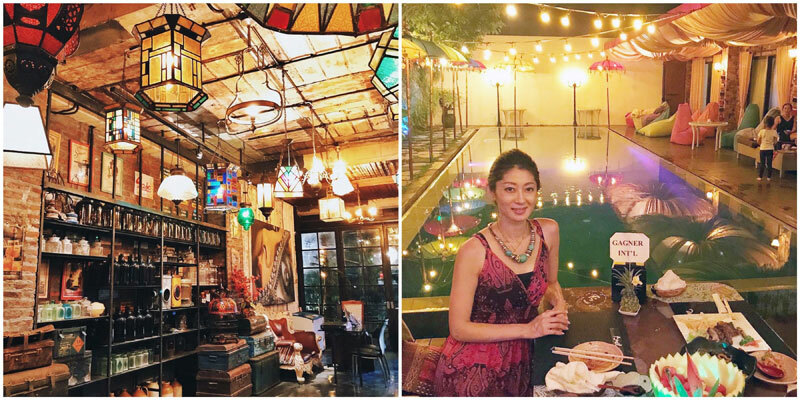 From the scent of local flavours in the air, it won’t take long to decipher the Balinese ambience reigning in this charming eatery. 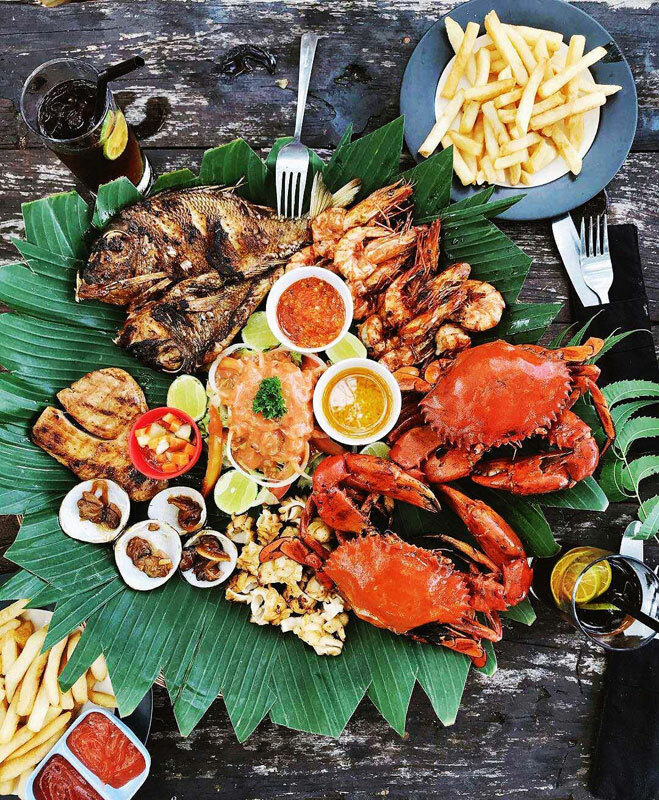 The seafood platter is one of their best sellers – you get an authentic taste of Balinese cuisine with their mix of fish, squid, prawn, potatoes, and mango salad! The lobster served with vegetables, garlic bread and purée is also a winner, judging by the number of carcasses on neighbouring tables! 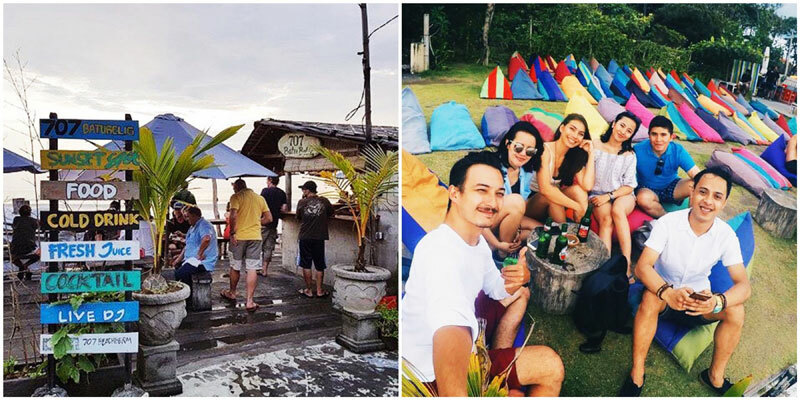 Reviewed as honest, unpretentious and welcoming, this little pearl offers bean bags that face the ocean; these make perfect chilling spots to enjoy a seafood feast and a couple of ice-cold beers with your squad (and on some days they even have a DJ)! 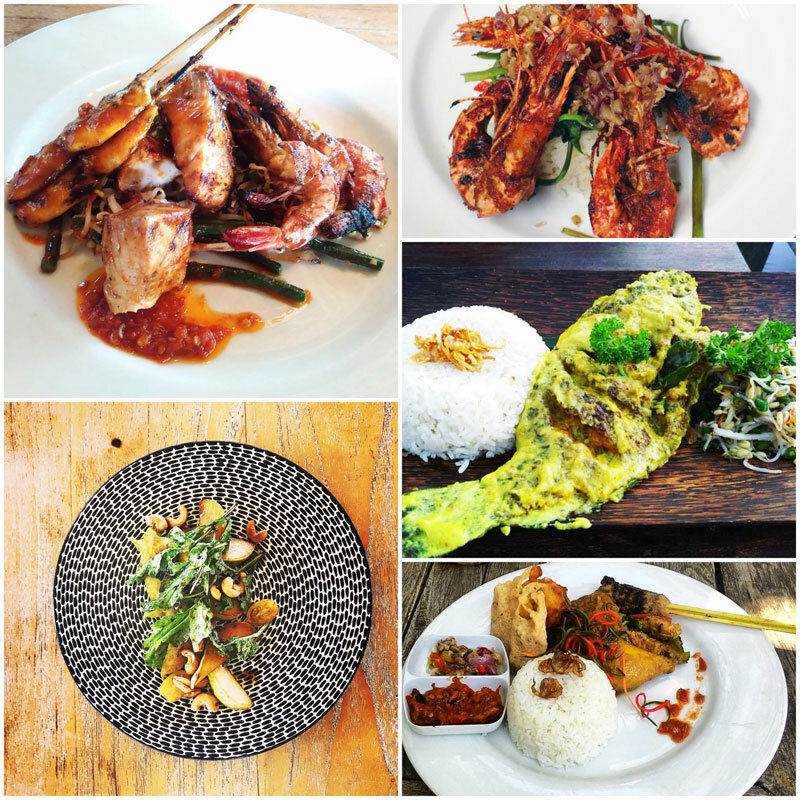 Ready for a seafood feast away from the JImbaran crowd? Tag another seafood lover who will join you!